If you were coming of age at any Texas university in the late 90’s/early 2000’s, there were really only a few things you needed to know to survive your studies. Beer tasted just as good in the morning as it did last night, Taco Cabana is open 24 hours a day, and Pat Green and Cory Morrow’s mothers somehow inexplicably named their children with the same middle name. Oddities aside, Cory was as close to royalty as you could get at the time. The Big Ski Trip that happens in Steamboat every year was originally named after Pat and Cory. Watching the Godfather recently I was reminded of the line by Hyman Roth to Michael Corlione, “Michael, we’re bigger than U.S. Steel.” Now that may be a little far of a stretch but it gives you a scope of the magnitude that these fellas had. Everything that was Texas Country revolved around them. 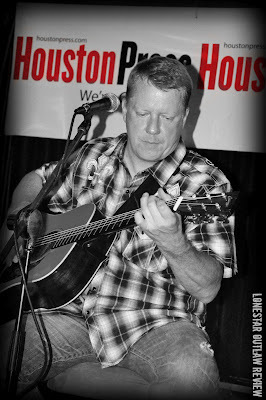 Seeing Cory Morrow (alongside John Carroll) perform an acoustic set in his native Houston at Pub Fiction recently reminded us why he got to his position. Cory has been a very gifted performer for many years now and he brings his animated style of play with him to all events. He is easy going with the crowd, accommodating with his set list, and brings such a sense of joy to all those around him. His enthusiasm is contagious and his playing chops match that of a performer who spends the better part of his life on the road. On this particular night he stuck with predominantly the favorite tunes that his fans have come to love for going on two decades with some new material sprinkled in. Cory has changed a lot over the years and it reflects in his songs. It would seem the hard charging, party animal has subsided and a fresher, more mature, more spiritual side has morphed. It has done wonders for his music to say the least. Many of the “party all night” themes have changed into love for his family, his faith, and most importantly, himself. I can’t recall ever hearing a bad song from his earlier albums but it is clear that he is more focused now that he has turned over to religion and he doesn’t hide his convictions with an album titled Brand New Me and song titles of “He Carries Me” and “Lord, You Devil”. Let me get things straight before we go any further, this is not a prayer meeting popping up a tent in your town. 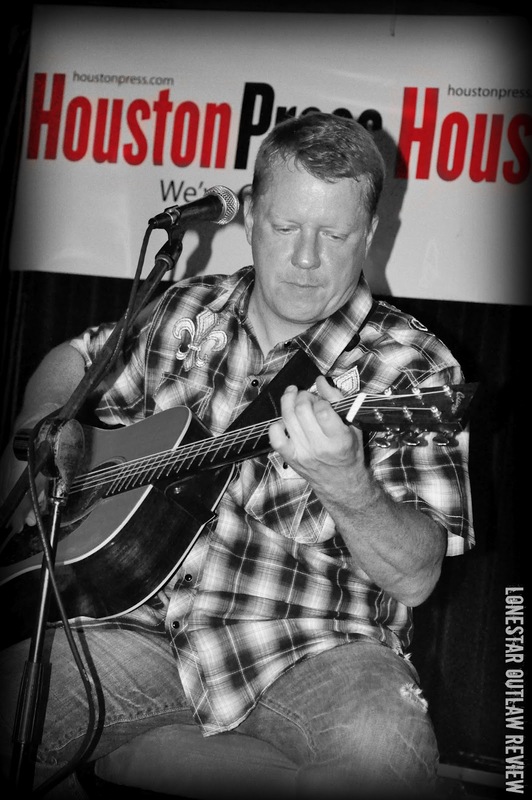 This is a man (backed by a very solid band) who can bring the rafters down with his good time songs, belt out the National Anthem at a Texans game, and I’m sure still drink you under the table if he felt the need. But nearly 20 years into his career, he has settled down a bit and we all still like him just the same. It’s phenomenal to see such a great artist evolve over time and still be able to bring along his fans with him for the ride. And if he’s able to touch some more fans along the way by sharing his own personal stories through lyrics, then all the better. 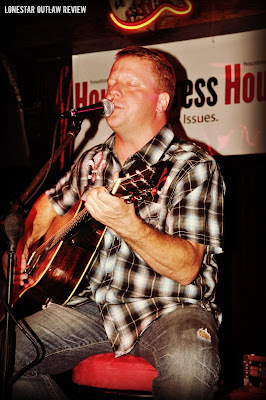 I don’t think that it is in Cory Morrow to put on a bad show, he’s just too talented and has too much of a love for his fans and for performing. Now about that middle name…….. Check out when you can see Cory Morrow in a town near you! 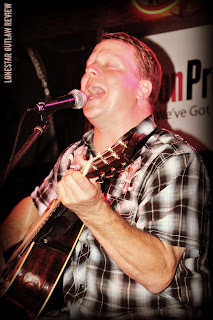 To see the rest of the pictures from Cory's show @ Pub Fiction, become a fan on Facebook!